The winner and runner-ups of World Mayor 2012 will be chosen based on the number of nominations in relation to the size of their cities and, more importantly, on the persuasiveness and conviction of testimonials received during this year's World Mayor Project. Below we publish a selection of comments received to date about WM nominee Melih Gökçek, Mayor of Ankara, Turkey. 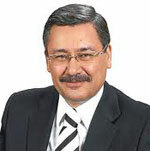 Mayor Gökçek has signed up to the City Mayors Code of Ethics. It has come to our attention that a significant number of votes and testimonials submitted between 15 July and 2 August for the Mayor of Ankara were manipulated. They were deleted from the count. Comment: Ankara, the traffic was very bad. Underpasses and footbridges on the face of traffic flows has become seamless. 15 minutes-2 hours to go wherever you go Eskiden1 started. Comment: He has done very succesfully project in Ankara. Ankara City has been modern city in his term. We have expecting more issue that Ankara needs as well. Now car traffic in Ankara should optimisation in short time at first. I support him and wish he will be World Mayor in 2012. (By Sakir, Ankara). Comment: He changed the city completely with his innovations. He is working very hard everyday to raise the reputation of the city and also working very clean. Comment: I even don’t know how to start this e-mail but as an individual who believes such an award must be given to who really deserves, who is a hard working mayor with dignity and honesty. I am a 22 year old university student from Ankara, Turkey, and I am ashamed to say that the mayor of my city, Melih Gökçek, who is finalist under Asia region does not even deserve to be on this list and here is why. While I was checking a website to check out bus hours I have suddenly saw a notice about this competition, World Mayor, listed as news on the page. When I investigated it, I have, unfortunately, saw that the pages was describing how to vote for him step by step, but shamefully giving 3 made-up / ready-to-use English comment samples to be filled in the form. Not only those comments are imaginary and wrong, but also the page suggests users to write a one like that, as the editors, care about the truthfulness of the comment. Well the issue is the pre-made comments as you can note (screenshot and link is attached) and as many people can’t speak or write in English, they would probably just pick a one and fill the form with one of those. The City Mayors Foundation, the international think tank for local government, organises the World Mayor Project and awards the World Mayor Prize. The Prize, which has been given since 2004, honours mayors with the vision, passion and skills to make their cities incredible places to live in, work in and visit. The World Mayor Project aims to show what outstanding mayors can achieve and raise their profiles nationally and internationally. The organisers of the World Mayor Project are looking for city leaders who excel in qualities like: honesty, leadership and vision, management abilities and integrity, social and economic awareness, ability to provide security and to protect the environment as well as the will and ability to foster good relations between communities from different cultural, racial and social backgrounds. The winner receives the artistically acclaimed World Mayor trophy, while the two runner-ups are given the World Mayor Commendation. Nominations were accepted until the 17 May 2012. A shortlist of 25 nominees was published on 18 June. Voting took place until 20 October . The winner of the 2012 World Mayor Prize and other results of the World Mayor Project were announced on 8 January 2013.